Scars. We all have them. Some are visible on our skin. Some embedded forever in our memory. And some rooted in our hearts. No matter where are scars are, we all have them. Every scar we have came with pain; pain we want to forget. Yet, it's pain we need to share. About eight years ago I put my hand through a glass door resulting in a small blood bath and total of twelve stitches in two different spots. There was pain for a few weeks as the cut slowly healed. I remember the pain. I remember the feeling of fear not being able to get hold of my husband and having to drive myself and my little ones to the hospital as I simultaneously tried to stop the bleeding on my hand and wrist. I remember the incision busting open two weeks later when I bumped it and starting the healing process all over again. I still have the scars. The scars that remind me to be more careful, to move slower. Scars that help me teach my kids to be careful around things like glass and move slower. This particular scar of mine is physical scar. One that while it hurt badly at the time, wasn't serious. You very likely have scars like this. Scars that simply remind us to be more careful or to avoid an activity. What about those scars in our memories and hearts? We want to forget the pain we experienced when we were abused, abandoned, lied to, lied about, left out, lost someone we loved, or made a bad choice that changed our lives. Those pains hurt too much. We want to hide them and move on. 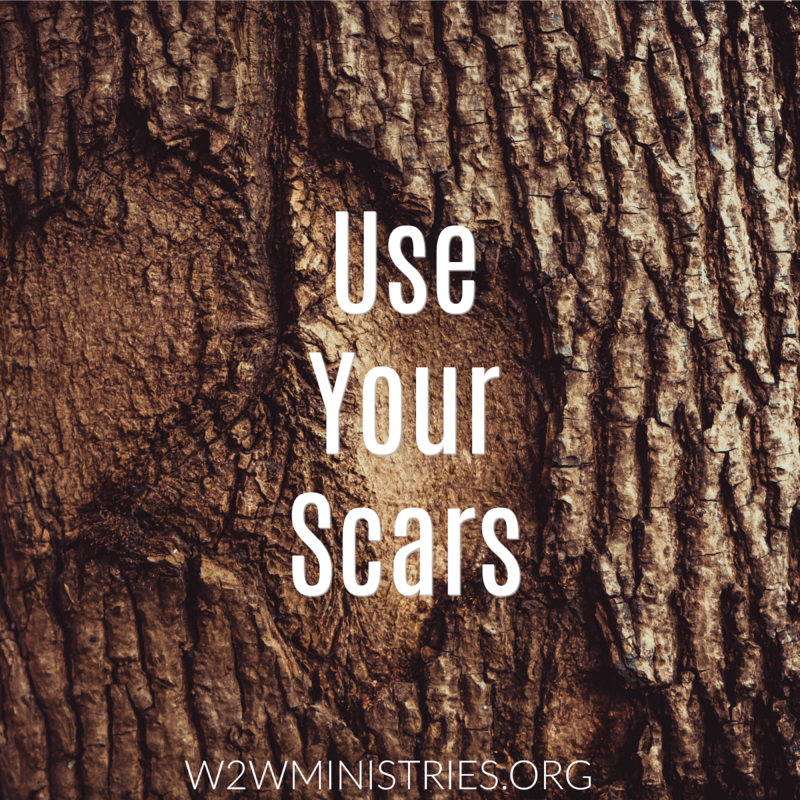 Friends, people need to hear about your scars. People need to know they are not alone in their pain. You need to know you are not alone in your pain. If we can take those physical scars, like my run in with the glass door, to help someone make wiser decisions and avoid that pain, think of emotional pain you can help someone avoid by sharing your stories. Think of the healing you can bring to not only another but to yourself too when you share your stories. I say it over and over yet it bears repeating, we are not meant to do this life alone. That includes sharing our stories to heal and help others heal.